There seems to be a strange believe that if you want to write any form of blog that you need to spend money. It's something that simply isn't true. 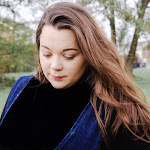 I would have to say that up until this year I haven't really needed to spend any money on my blog, I have had nearly two years of running my little space on the internet with no budget and I don't think that it has hindered me and my blog in anyway. If you want to, however go for it. When I first started blogging the thought of actually spending money never really crossed my mind, it's the simple fact that many of us don't always have those extra funds and therefore need to try and blog within some form of budget. So today I thought that I would share some ways in which you create a successful blog without breaking the bank. Something that you need to do each month is set up a blogging budget, it doesn't matter if you are someone who blogs everyday, every month or once in a while. By setting up a blogging budget each month will help you keep focused, it's also a great way to keep track of your spending. But this all depends on your income each month, some months are better than others as some months require more creative photos, more promotion and therefore more spending. For instance during the summer holidays you can see a decrease in engagement and interaction due to going away, and some being busy with children and families. However when it comes to Autumn and Winter there are so many seasonal posts that you can push with promotion for engagement and interaction such as gift guides, reviews, and even seasonal products. So it's always an idea to think about those extra expenses during those month. There is a huge misconception about blogging that you need all the latest camera equipment with different lenses and every Apple product imaginable. However this is not the case. Some of you may think that I am being a little hypocritical because I do own a DSLR, however technically the Samsung camera isn't mine, it's my husbands. Most of us own a laptop or a computer of some kind with internet connection so that really isn't an expense you have to really think about. Also you need to keep in mind that most of us own an snazzy smart phone that have great camera's so again you don't really need to fork out a bunch of cash for a new one. As I said up until this summer I was solely using my very outdated iPhone 5S for photography and with a little help with a few editing apps such as Afterlight and VSCO I was able to create some beautiful bright photographs. The blogging platform that you use is something that is a total personal preference, for years I used Blogger because it was free and it does everything I need it to, many choose to start on WordPress as the possibilities are endless. Perhaps one day I will make the migration over to a WordPress site, but for now I am pretty happy with my Blogger blog. There are so many people who have gone onto to become very successful entrepreneurs because of their blog and this has nothing to do with the platform that they use. Another recommendation I would suggest you do straight away is buy your own domain, something that I should have done as soon as possible. It wasn't until March of this year that I decided to take the plunge and buy a new domain, if I am honest I am not too sure why it took me so long.It was pretty simple to set up with GoDaddy and it doesn't cost the earth. There are always some form of promotion with these hosting sites, I got a great deal of 99p for two years and this will go up to £7 after. Not a big expense. For the first year or so of blogging my layout was very basic, now I am talking two colours and a few social media icons and that's it! For me, half the fun of creating a blog was getting to build myself a layout because it gave me the chance to learn more about HTML which I think is hard but very interesting. However I am yet to become a complete professional when it comes to HTML, but I am getting there. As soon as the promotions and sponsorship started to come our way, I knew that I needed to get a more responsive layout so my readers could easily navigate around the website because it had a clean and simple look. It took me a long time to decided but I found one of the most amazing programmers on Etsy, I got my layout just over a year ago and I haven't had any problems. I have had a few queries about certain things with my template that the programmer was more than happy to amend for me, he would also go above and beyond. But what makes it even better is that his themes are so cheap, and look great. Originally my theme cost me around £8, so don't forget to check out Vefio Themes. If you're anything like me, being organised is like a way of life. There is nothing that keeps me focused than being organised and so this should be something that you do with your blog. We all have lives beyond our love of the wonderful world of blogging and so it makes sense to spend out on making our life easier, and by that I mean a scheduling tool. This is something that you can either do for free with apps like Buffer and Hootsuite that offer in app purchases at later dates, to go pro! As a starting point these are great but soon scheduling posts on Twitter, Facebook and Pinterest become the bane of your life and so looking to spend some money on social media management scheduler is going to be so helpful and save you a tonne of time. Thanks to a certain pro blogger, who convinced me to get into the world of social oomph, it's has changed my scheduling game. I'll still use buffer when I need to, but I know that by paying $3 a month social oomph has got me covered just in case I forget. By scheduling posts and planning ahead you are always able to keep track of your spending for each post. Now that we have the basics behind blogging on a budget we need to talk about the products, as if you are basing a blog on something that is product based you may need to spend a bit of money. As my blog is beauty based too there seems to be some sort of pressure to buy all the latest and expensive products, but that's not always the case. If so many are already blogging about that expensive product what's going to make your post unique? Don't be afraid to be different and make your blog stand out there. I have had my blog a while and not once have I brought a product solely on the premise to blog about it, as personally I only like to talk about products that really interest me. There are so many ways you can talk about products without actually parting with some cash. You could talk about some products that you already own and love. You could perhaps talk about some products that you repurchase, items that are worth an investment and even talk about your routine. Keep an eye out for deals. Multi buys in Boots, Super drug, advantage card and reward points, affiliate codes from your favourite bloggers, or even newsletter discount codes. Being a blogger it makes sense to try and put yourself out there and so try and reach out to some of the companies that you'd like to work with and offer an amazing idea that you could do to help promote their product. If you're just starting out it may be an idea to do a couple of reviews or a creative Instagram posts before reaching out, so they can see what you can do with your creativeness. There you have my loves, all the things you need to know if you're blogging on a budget! Was there anything I missed out, I'd love to know you're thoughts so please leave your comments below. 18 comments on "Blogging On a Budget "
Great tips and I swear by Social Oomph! I just can't seem to get on with Social Oomph as much! I use it, but not as often as Buffer! These tips are great! I sometimes wonder if my blog suffers because I don't invest in it (other than purchasing my domain) but these just show that it doesn't have to be the case! (And for what it's worth I think your photography is lovely). Oh thank you Ada, that's so kind! Yes you don't really have to spend a lot to make it a success! I am not one that has unlimited funds, so I must budget! This is really great. I especially like your advice about photography as I have long admired your photos! I am wishing for a DSLR however, although I have one but it is really old. Mine is not really new, I think it's one from 2010! So it's does it's job! I buy and review products we actually need, great advice, I haven't spent a penny on my blog but I am now trying to decide whether to spend a lot of money on a new phone or camera for blogwork! Hmmmm that one is difficult. I use to be a phone photographer, but my DSLR takes much better photos than my phone! Fab tips. My only outlay is domain name. You can create so many wonderful templates and things without spending too much! Ooooh thank you for pinning!